Manicure in Ombré technique in a few minutesMust-have of a demanded nail designer. 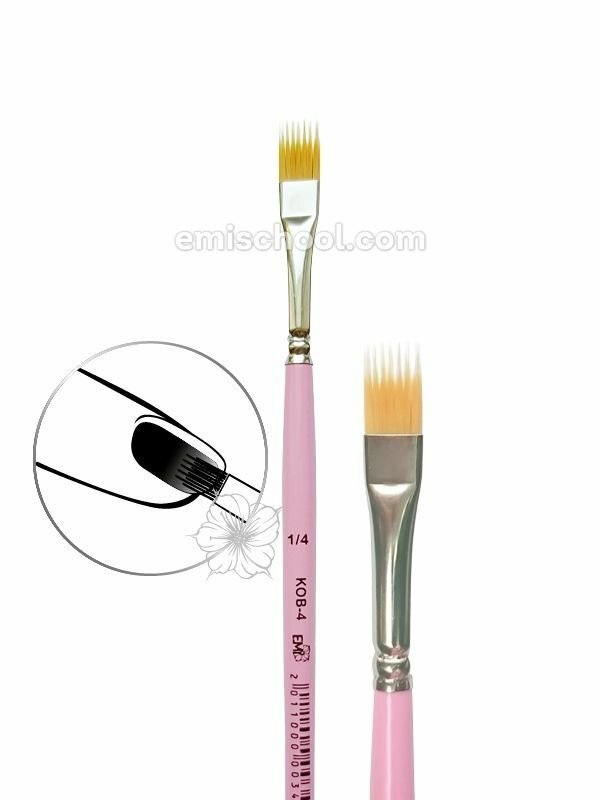 Due to professional brush Ombre #4 KOB-4 manicure in Ombre technique will be easy to perform even for beginners. Gradient is fast and easy to design! Professional brush Ombre helps create to Ombre manicure. Super time-saving. Brush Ombre #4 by Ekaterina Miroshnichenko considerably saves time of E.Mi - manicure performance in Ombre technique!